As the Canadian Surface Combatant competition heats up between designs from BAE Systems, Damen Group and Navantia, key personnel from the successful BAE bid for Australia’s $35 billion SEA 5000 project are bringing experience and capability knowledge to Canada and supporting strong links between the two nations. 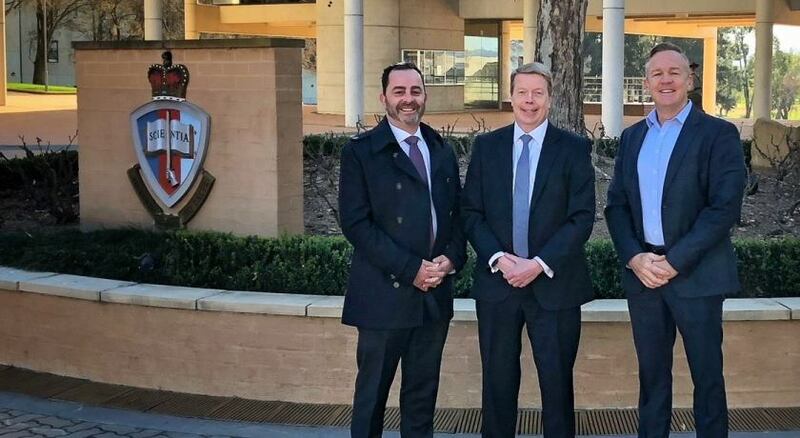 In the case of Ultra Electronics, an appointment from their Australian operations to lead their Maritime Systems business unit in Canada further links the paths being pursued by both nations in anti-submarine warfare (ASW). Bernard Mills, currently regional director Australia and New Zealand, has been appointed president of Ultra Electronics’ Halifax-based Maritime Systems business. Aside from being a primary provider of ASW capability to the Royal Canadian Navy, Ultra Electronics Maritime Systems also provides ASW capabilities to numerous NATO and other allied nations, including elements of Ultra’s Integrated Sonar System on Australia’s Hobart class DDGs as well as the torpedo defence arrays that will be delivered on the Hunter Class frigates and to the Royal New Zealand Navy. "It's very humbling to be appointed to lead a business with over 70 years of history, which is not only a jewel in Ultra’s portfolio but indeed one of the leading centres of ASW capability in the world," Mills said. Focusing on Australian implications, he added, "Ultra is dedicated to delivering our systems in a way in which creates enduring sovereign capability and a skilled in-country workforce. Our Australian business is in a major growth phase and, as programs evolve and systems come into service, I will continue to support my colleagues, and our partners and suppliers across Australian industry, by ensuring that the necessary level of skills transfer is provided." Notably, Ultra’s approach both in Australia and Canada has been to strongly support shipbuilder and combat system partners in major campaigns, focusing on collaboration as well as capability delivery. Ultra provides the hull mounted sonar and torpedo defence system on Australia’s recently-selected Hunter Class frigate. Nigel Stewart, BAE Systems Australia’s Hunter Class managing director, reflected on the relationship. "Defence is a truly global business and it is key that companies like Ultra ensure learning can be leveraged across markets. Ultra are a partner with BAE Systems and Lockheed Martin (Canada’s Combat Ship Team) for the CSC procurement. Bernard led the Ultra team supporting us in winning the Hunter Class program in Australia, so I’m confident that this will be a great move for him, Ultra and the broader Type 26 bid into Canada," he said. The Canadian Surface Combatant, formerly the Single Class Surface Combatant Project will replace the Iroquois and Halifax Class warships with up to 15 new ships beginning in the early 2020s as part of the National Shipbuilding Procurement Strategy. Navantia F-105 Alvaro de Bazan Class Frigate.